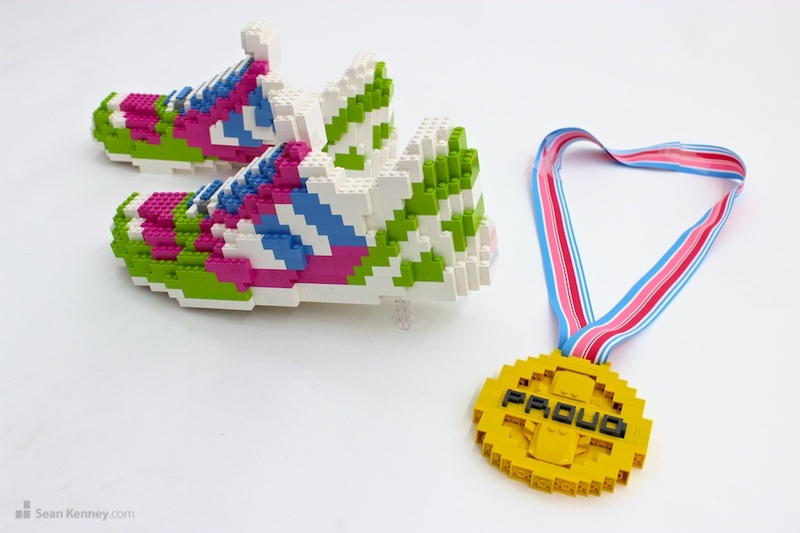 Used as part of a LEGO Friends photo-op, I created these "slip on" LEGO shoes in the LEGO Friends color palette and a matching running medal. They were used at the 2014 Girls On The Run International summit in San Antonio, Texas. Visitors to the display would stand behind the shoes and wear the medal to pose for a photo.